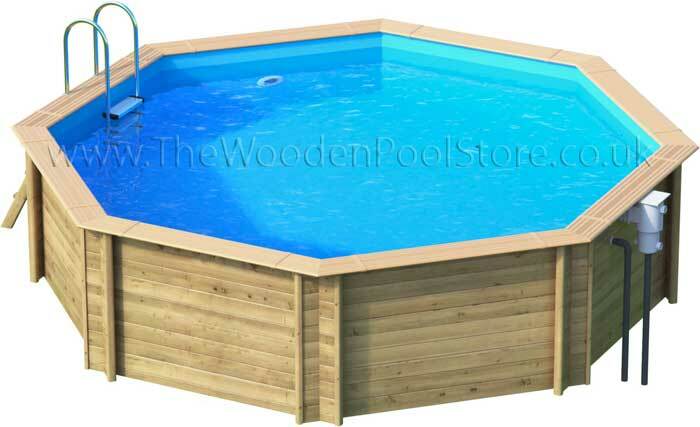 Our range of Weva pools offer a beautiful looking pool which are a straight forward practical range including: 2 ladders, skimmer and return fittings, liner in dark blue, sand filter & sand. 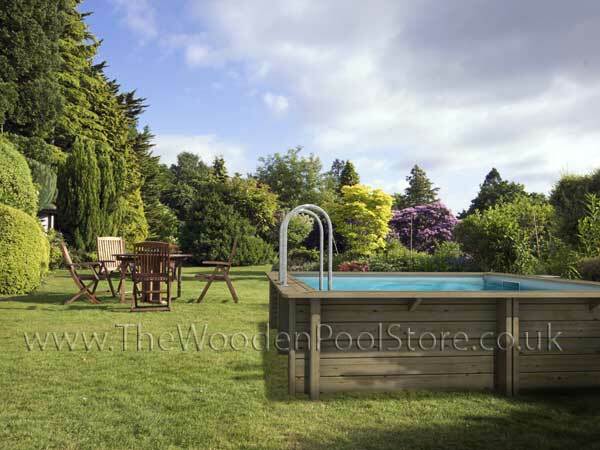 The WEVA POOL guarantees a hassle free integration into your garden. The structure, made of carefully selected solid wood, is compatible with in-ground*, partially in-ground* or above-ground installation*. In the case on an in-ground* or partially in-ground* configuration, the wooden plant housing (available as an option) must be installed to allow access to the filtration equipment. *For inground use we can supply wood protection membrane, to protect the wood from damage. The structure is made of class IV treated Northern 45mm pine. Or an Electric Heater, which is cheaper to buy. However, you get 1 Kw of output for every 1 Kw of input in power. So more expensive to run than the Heat pump option. We offer a wide range of options which are compatible with this pool including cleaners, lights, pool covers etc. 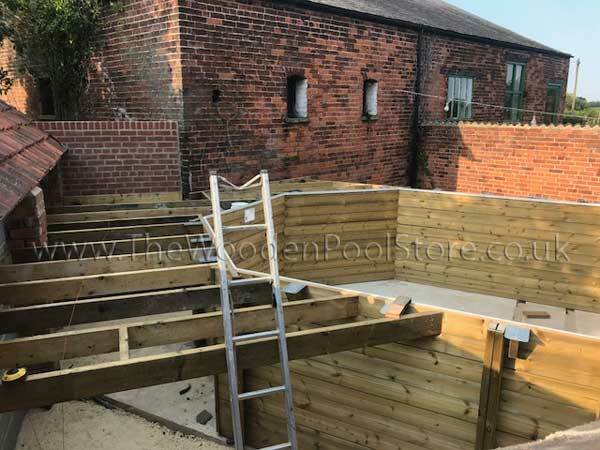 4/ Pool structure built and decking completed. 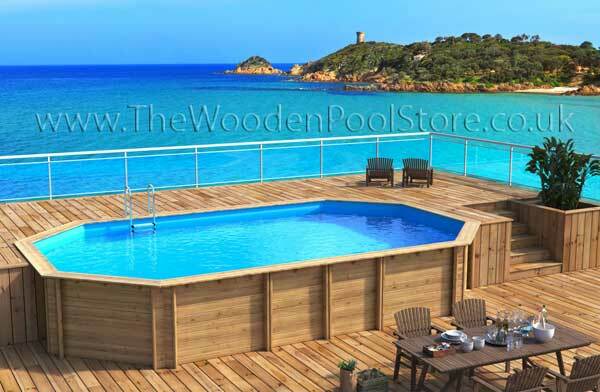 The pool can be assembled by most competent DIY installers, or the customer can choose to use a local carpenter or handy-man to assemble the pool. 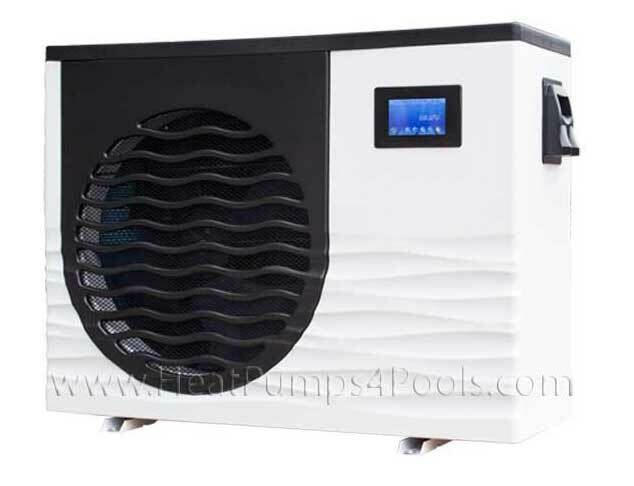 A qualified electrician should be used to run the power supply to the pool and to make the necessary connections. The pool can be laid on flat, level grass which has been cleared of all stones and sharp objects which could damage the liner. Alternatively, a flat, level concrete slab can be laid to take the weight of the pool and to avoid it moving or sinking once filled with water. 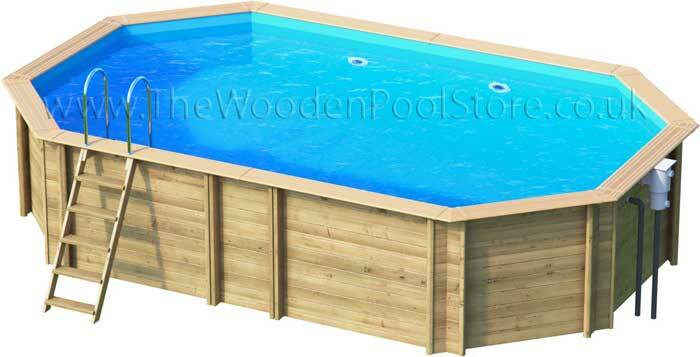 The wooden pool will be delivered in several large wooden pallets on a high sided lorry. 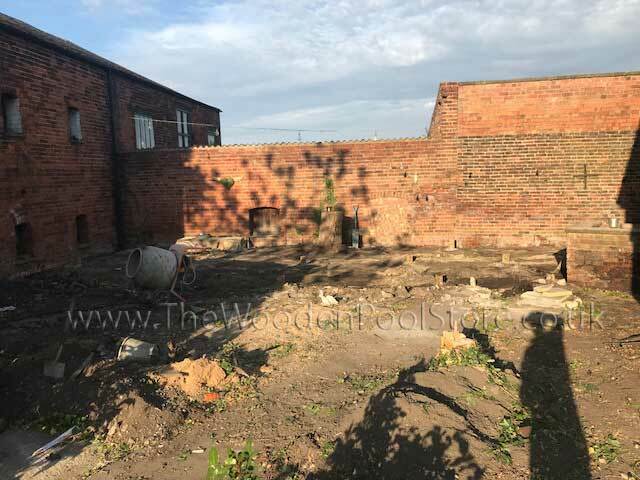 When the lorry arrives at your property, you will need to unload each piece of wood from the pallets and stack them in your garden ready for assembly. Having additional help to unload the wood when the pool is essential to reduce the unloading time. 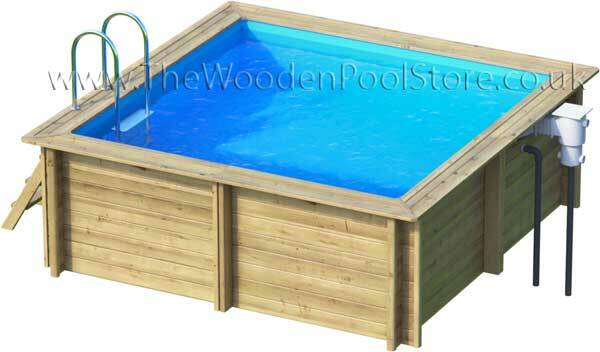 We recommend that 4-5 people are available to unload the pool at the time of delivery. 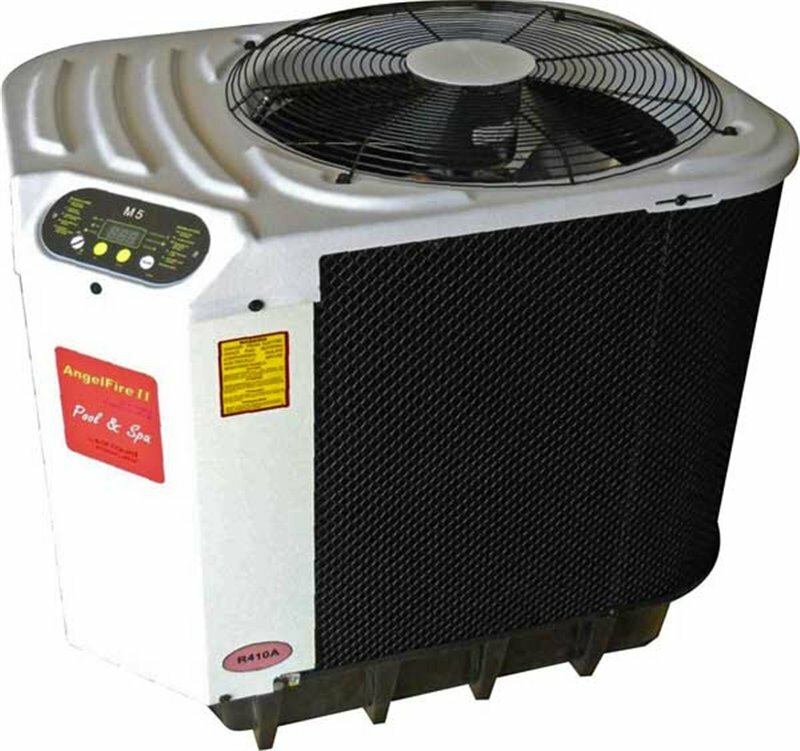 We offer a wide range of pool heat pumps and pool equipment matched to suit your wooden pool and your budget ! 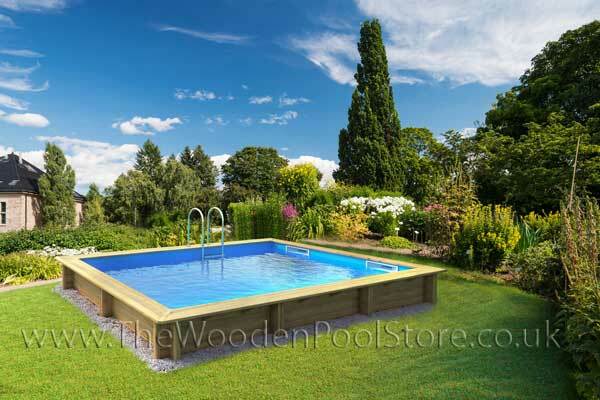 The Wooden Pool Store is the leading UK based specialist supplier of quality wooden pools, heat pumps equipment for wooden pools. 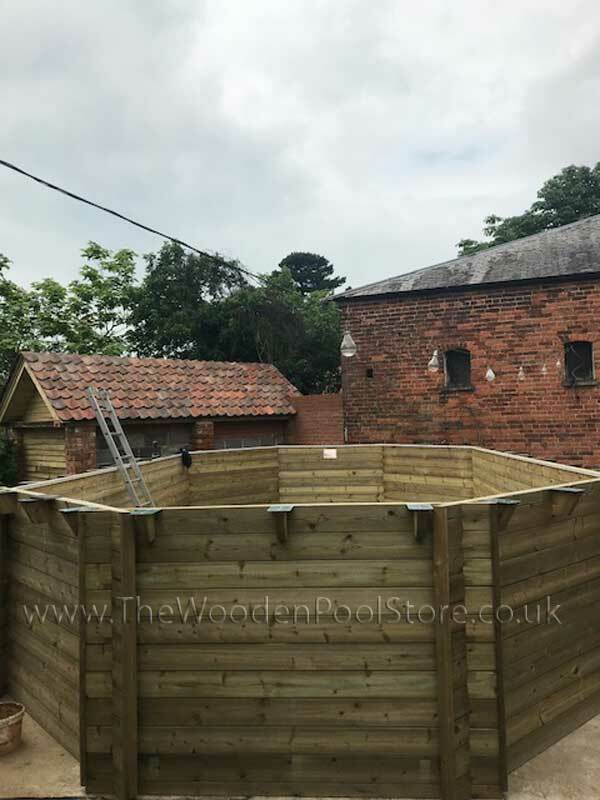 Operating from near Billericay in Essex in the UK, our mission is to be the leading supplier of wooden swimming pools to the UK and Europe. 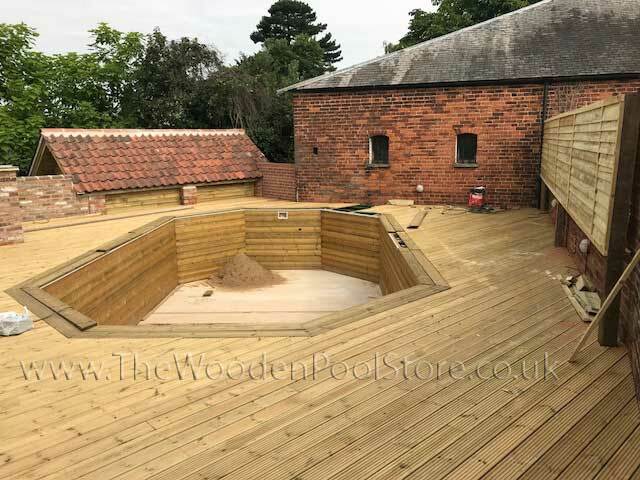 As the leading specialist supplier, The Wooden Pool Store specialises in offering the widest range of top quality wooden pools that we consider to offer the best quality, reliability, price and performance. 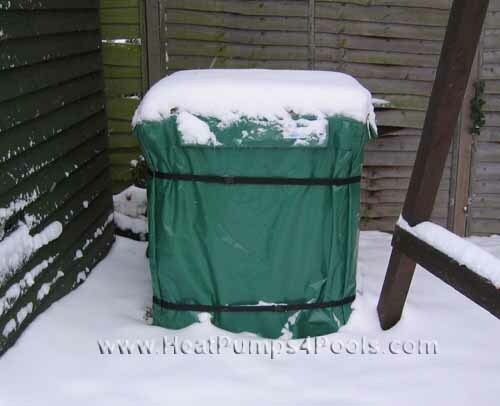 As part of HeatPumps4Pools Ltd, we also can use our expertise to match an efficient heating system for your wooden pool. We have the largest range on the Internet at the lowest prices backed by our excellent pre and post sales customer service. 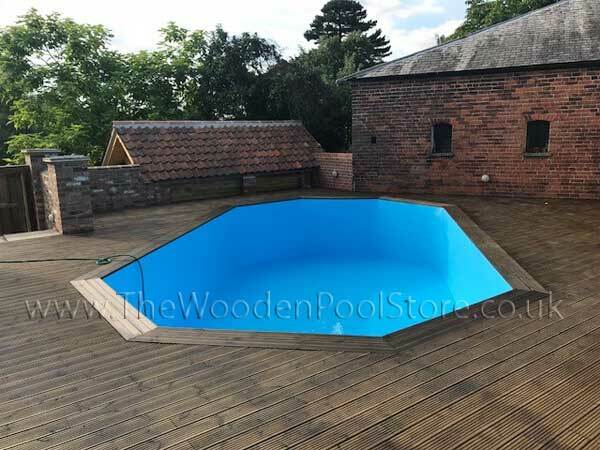 We provide a knowledgeable, friendly service to assist you with the purchase and installation of your wooden swimming pool - so talk to the experts, please feel free to ask - any query at all we are happy to help.